15 | March | 2012 | Watts Up With That? March 15, 2012 in censorship, Climate ugliness. March 15, 2012 in Fakegate. March 15, 2012 in Climate data, Weather_stations. From the “Oh noes it’s Radiation” department, Dr. Leif Svalgaard points out we all got a gamma ray bath on that recent big solar flare. I wonder how many Banana Equivalent Doses we all got? March 15, 2012 in Astronomy, Radiation, solar flare. March 15, 2012 in Curious things. by David Archibald Figure 1: Heliospheric Current Sheet Tilt Angle 1976 – 2012 The heliospheric current sheet tilt angle is currently at 67°. 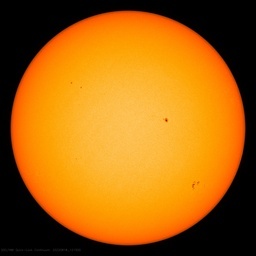 Solar maximum occurs when it reaches 74° – so a little bit further to go. March 15, 2012 in Solar. WSJ pans 'climate warrior' Michael Mann in book review. March 15, 2012 in Book Review, Michael E. Mann.